Personal website of French web developer Nicholas Hoffmann. 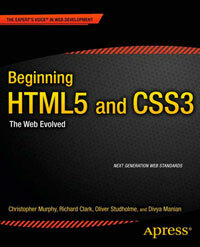 This site’s HTML5 code is very well structured with excellent ARIA support. A lot of divs could be broken down into sections and articles. Good breakdown of content and semantic structure. Footer is used where a small tag would suffice. Again, no specific input types utilised. Otherwise, very good implementation.